Sleepless nights. Frustration. Hope, followed by heartache. It’s often not talked about, yet many people secretly face the same challenge. I never expected to be a statistic, but life threw me a curve ball. One in eight couples have trouble getting pregnant. I am a face of infertility… and I’m not alone. It’s something I never really pondered. Ten to 15 years ago, I never imagined I would face difficulties getting pregnant down the road. Life always seemed to go my way — a perfect husband, a successful career, a loving family and friends. The only thing missing was children of our own. But month after month, the pregnancy test came back negative. And every month, my heart sank a little deeper. Over the years, I went through a range of emotions. What started out as frustration, eventually turned to pity, as I found myself asking, “Why me?” So many nights I would lie awake while my husband soundly slept next to me. As I silently sobbed, the tears dropped on my pillow, the feeling of despair enveloped me. I cried because life didn’t seem fair. A number of health complications meant I might never be able to have children. I cried because of the financial burden my husband and I faced. The years of medical bills only increased the further we went down the infertility road. I cried because I felt alone and misunderstood. Even though I was surrounded by love, the fact my body was “failing” me made me feel defeated. Social media only made my sorrow deepen. The sight of baby announcements on Facebook had me cringing, as I realized that deep down, I was simply jealous. But, as I slowly became more open with my struggles, I found I wasn’t the only one facing the heartbreak of infertility. There is an entire community out there, filled with people going through similar circumstances, but few feel comfortable talking about it. It’s 2017, yet infertility is still considered a taboo topic. I’ll be the first to admit the awkwardness that comes with visiting a fertility clinic. While I wasn’t ashamed to be there, the room felt surreal, as if a big neon “infertile” sign was pointing at me as I waited for the doctor. My mind was racing with questions. Were all of these people in the waiting room also facing the same situation? Was their insurance covering the cost of treatment, or were they faced with the mounting bills like myself? Was it really worth it, especially with no guarantee that fertility treatments would work? 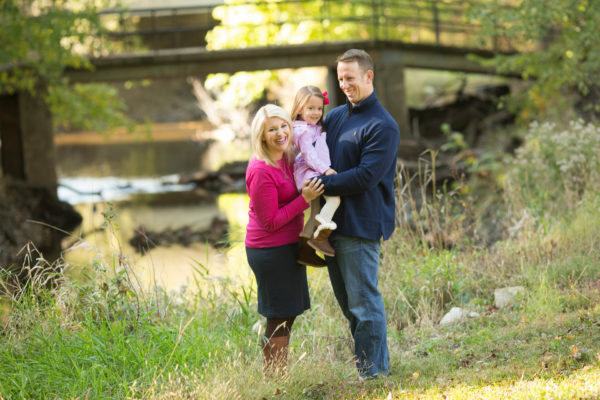 The emotions I felt before beginning fertility treatments were magnified as my husband and I embarked on what doctors believe was our only route: IVF. Our hope and excitement was met with pain as my body succumbed to endless bruises from the several shots I gave myself each day. After a few weeks, I was emotionally and physically drained. But, all was forgotten when our doctor shared the news that after years of infertility, we were finally pregnant. It was four years ago, yet I remember the moment like it was just yesterday. Shortly after announcing our pregnancy, I took the bold step of sharing our struggle with the public. I opened up my soul, my darkest secret, pouring my heart out for the world to judge. I knew not everyone would agree with the way I became pregnant, but I forged ahead. As I began to tell a few friends about our infertility, more and more people opened up to me. I wasn’t alone. Some people simply needed a shoulder to cry on, while others wanted to share their pregnancy success. Each story was unique, yet we were all connected through a common bond. These days, my husband and I are busy chasing around our daughter, a surviving triplet who defied odds every step of the way. Now that she’s 4 years old, people often wonder if we plan on having more children. The answer isn’t a simple “yes” or “no.” It’s at that moment when infertility creeps back into our lives. The days of hope and heartache are a not-too-distant memory. The chances are slim that we’ll ever get pregnant without medical intervention. But, that’s OK. While infertility can be so isolating, there is some good to come out of it. Because of infertility, I have found a community of support embracing me… showing me I’m not alone. A version of this originally appeared at Perfectly Petyon. Stacey Skrysak is local television news anchor in Illinois, but her favorite role is being a mom. Stacey is mother to a 22-weeker surviving triplet and two angels. Through her blog, Perfectly Peyton, Stacey has become a voice for infertility, premature births and child loss.